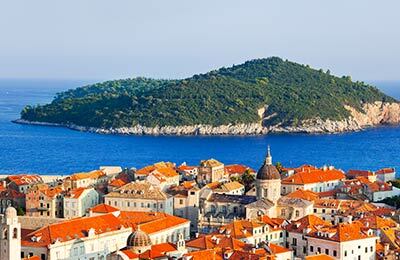 The port of Pula in North Croatia (or Pola in Italian) is the ideal port for travel to Italy from Croatia with frequent ferry crossings to Venice. The ferry company that operates this route is Venezia lines. With AFerry you can always find the cheapest ferry prices and latest deals for ferries from Croatia to Italy by using the Compare Prices booking form. The Pula to Venice ferry route is only available in the summer and when available AFerry shows the latest Pula ferry timetables, journey times as well as our latest and best prices. Venezia Line Ferries has a fleet of three high speed catamarans equipped with the latest air cushion technology which combine the advanced characteristics of catamarans and hovercrafts. This technology allows speeds of up to 40 knots while ensuring a remarkably comfortable journey. Onboard, Venezia Lines Ferry service offers a variety of onboard facilities such as spacious and executive style air-conditioned lounges, bars and restaurants along with tax free shopping. 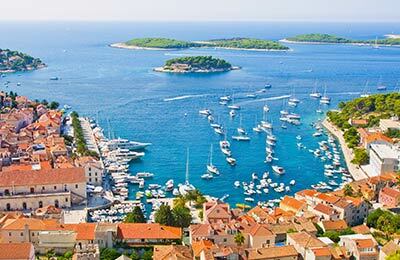 Pula port has all the basic amenities you should need. There are bus connections to destinations across Croatia. There is also a train station in Pula itself though, for historical reasons, the trains departing from Pula all go into Slovenia rather than connecting to the rest of Croatia.